These striking awards plaques are crafted in jade glass and have a modern arc shape design. 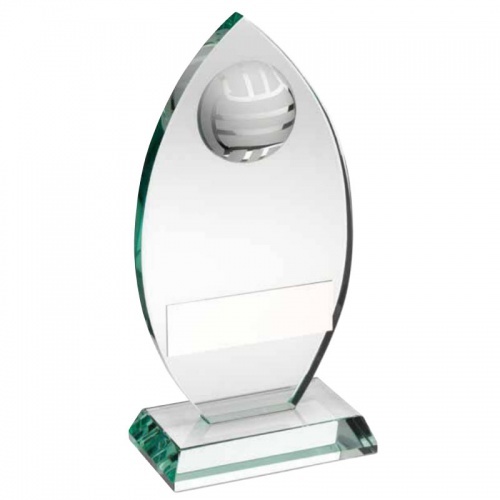 They feature a panelled football inset towards the peak and include an engraving plate on the body. Standing 6.75in / 171mm tall, they are offered here with text and/or logo engraving options.